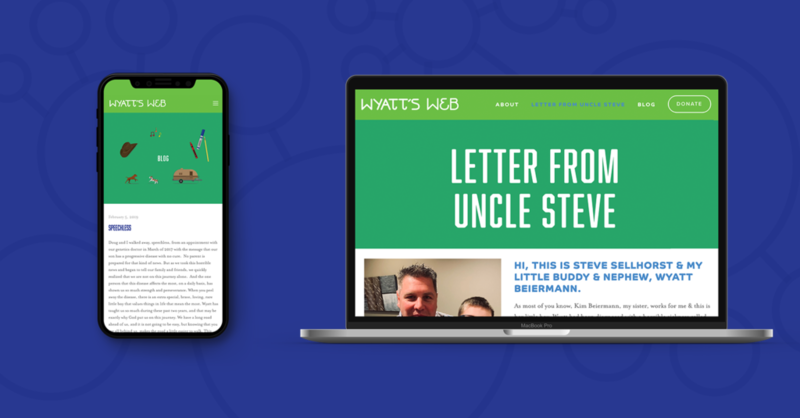 Wyatt’s Web was created for Wyatt Beiermann, a 7-year-old battling mitochondrial disease. His family & friends make up his “web” and organized a fundraiser to help with his medical bills. Therefore, a logo and website were in order! Fun fact: Wyatt’s Uncle, Steve Sellhorst, organized this fundraiser, and is one of our beloved clients! Click here to learn more about Wyatt and mitochondrial disease. 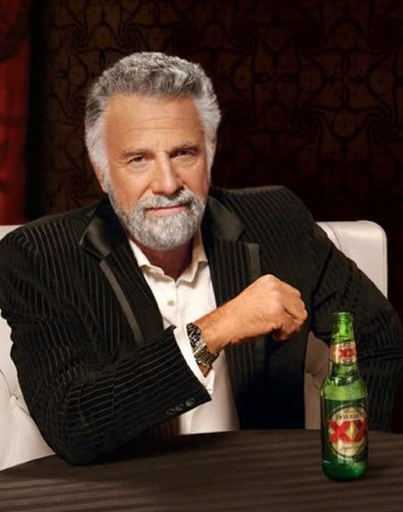 We don’t always do pro bono work, but when we do, it’s an all-day Design-A-Thon! Typically, our design process takes anywhere from 4-8 weeks including client reviews & design edits. However, this project had a short turnaround. To speed up the timeline, we had a Design-A-Thon, which involved creating two logos from start to finish all in just 8 hours! 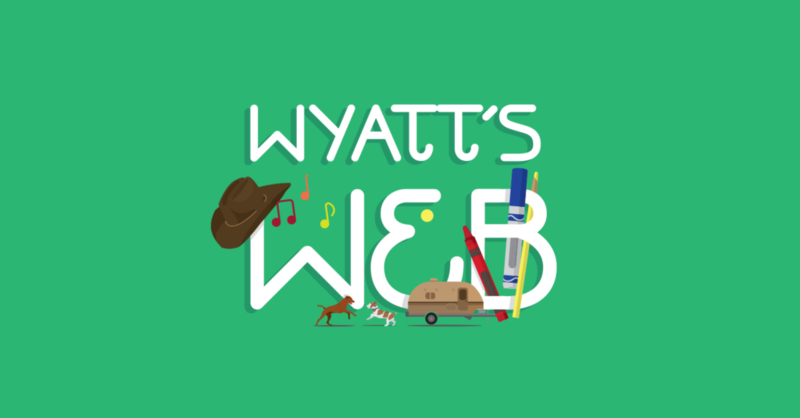 The goal was to design a brand that encompassed Wyatt and all the things he loves, i.e. school/math, his dog, & country music to name a few. He also has dreams of buying a camper for his family! 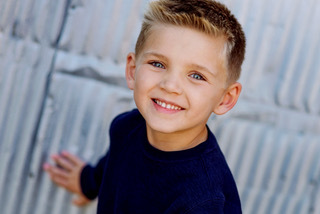 Wyatt has a heart of gold, and we are honored to help spread awareness for this special cause. The Design-A-Thon was a unique chance for us to showcase our design process in an accelerated fashion. Visit our Instagram & click the “Design” highlight to see it in action! After the Design-A-Thon, the client selected Concept #2! 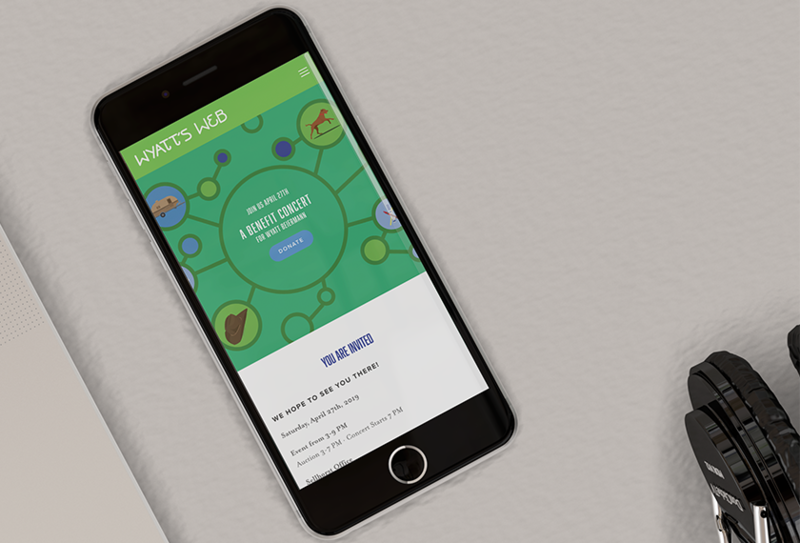 Then, we went to work designing and developing the site. Check it out below! To view details for the fundraiser or to make a donation, visit WyattsWeb.org. 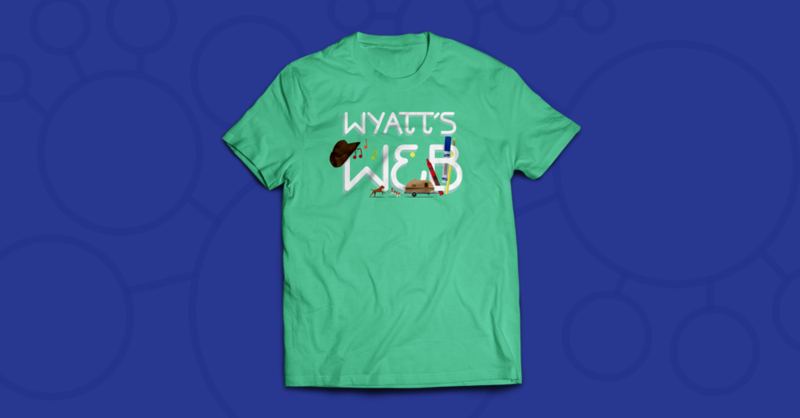 T-shirts are available to purchase as well, and all proceeds go directly to Wyatt’s Web! Thank you, Wyatt, for letting us be a part of your journey!